Is Huawei set to become the world's top smartphone maker in 2019? Official figures have yet to be published, but the world's second-biggest mobile phone producer, Chinese company Huawei, claims it has crossed the symbolic 200-million-unit mark in 2018, and is now aiming for 250 million units in 2019. If it achieves this goal, it may well steal the market's number one spot from Samsung. Huawei certainly has what it takes to succeed in its bid to overtake its South Korean rival. Along with a brand that is increasingly recognised around the world, the company has a demonstrated knack for cutting-edge innovation that is the envy of its competitors. 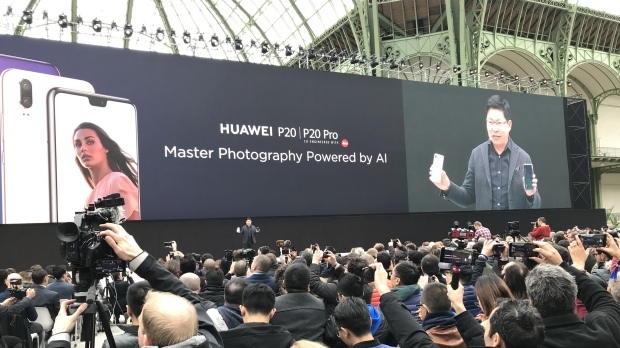 In 2018 alone, the Chinese producer launched not one but two revolutionary smartphones: the P20 Pro, the first smartphone equipped with a triple camera and a 3x optical zoom (the P20 Pro still tops the DxOMark rankings for smartphone image quality), and the Mate 20 Pro, an ultra-powerful handset that can wirelessly charge other compatible smartphones. Both devices are every bit as good as their high-end counterparts sold by Apple and Samsung. Another of Huawei's strengths is its aggressive positioning in the mid-range market, via its subsidiary Honor. Honor products benefit from the same innovations as their high-end siblings just a few months later, and retail for less than $800, overshadowing competing models from Chinese brands OnePlus and Xiaomi. In the medium term, another Chinese phone-maker, Xiaomi, could take the No.1 spot in the market. With its extensive range of cheap handsets for all kinds of consumers, and an increasingly international marketing strategy, Xiaomi has everything it needs to be a key player in the years to come. In imitation of Huawei's strategy of developing a lower-end subsidiary, Xiaomi has also decided to develop a second "more fashionable" brand, which it has christened Poco. In addition, it is currently the world's biggest producer of smart watches and bracelets. Given the power and dynamism of the Asian market, which have made it the world's fastest-growing, it's no surprise that Chinese phone manufacturers are reporting soaring sales. It's also likely that they will become increasingly dominant in Europe and America; the threat of a U.S. boycott won't be enough to put the brakes on Huawei's international expansion.